Committees of Correspondence for Democracy and Socialism is one of the US's most significant Marxist-Leninist parties. The organization was born in 1992 out of a major split in the Communist Party USA, incorporating Trotskyites, former Maoists, socialists and anarchists to form an entirely new party. The party has strong ties to Cuba , Vietnam, Venezuela and the communist parties of France and the former East Germany. Committees of Correspondence, was and is strong in Chicago. I have written here how two leading CoC members have worked closely with Barack Obama. He was almost certainly referring to his Chicago CoC comrades. I have in my possession a Chicago Committees of Correspondence "Membership, Subscription and mailing list" dated October 14, 1994. Of the nearly 400 names on the list, many have been identified as CoC members from other sources. The list does not prove CoC membership per se, but it does indicate some degree of contact with the organization. What struck me as significant were the names of several people who have promoted, or impacted on the political career of Barack Obama. Carl Davidson Now one of four Co-leaders of the Committees of Correspondence. Davidson worked with Obama in the radical New Party in the 1990s. He later helped organize the famous 2002 peace rally in Chicago's Federal Plaza where Obama first became famous as an opponent of the Iraq War. Danny Davis An Illinois Democratic Congressman and a member of Democratic Socialists of America with proven ties to the Communist Party and CoC. Davis has been a long time Obama friend and political ally who campaigned with Obama in the New Party in 1995/96. Bernardine Dohrn and Bill Ayers Former leaders of the terrorist Weather Undeground. The couple hosted Obma's first known political gathering in their home in 1995. Earl Durham A former member of the Communist Party national committee. Professor Durham later went into education reform in the 1970s and in the 1990s founded the organization Community Organizing and Family Issues. Marilyn Katz Now a prominent Chicago public reations professional and Democratic Party activist, Katz has a background in Students for a Democratic Society and the socialist New American Movement. Katz, with Carl Davidson helped organize Obama's appearance at the 2002 Chicago anti Iraq War rally. Katz was a major fundraiser and a delegate at the Democratic Party convention for Obama. She was also an endorser of the Progressives for Obama website. Fred Klonsky A former Students for a Democratic Society activist, brother of Mike Klonsky and endorser of the Progressives for Obama website. Mike Klonsky Is a former leader of Students for a Democratic Society and the pro China Communist Party (Marxist-Leninist). Mike Klonsky is a long time friends with Bill Ayers and was involved with some of the educational project which Ayers and Obama worked together on. Until June 2008 Mike Klonsky ran a Blog on Barack Obama's campaign website. It was pulled at very short notice after adverse publicity began surfacing on the blogosphere. Alice Palmer A long time Communist Party sympathiser, Alice Palmer has travelled extensively in the old Soviet Bloc and was a leader of the soviet front International Organization of Journalists. Obama was Alice Palmer's chief of staff when she ran for congress in the mid 1990s. She was the main sponsor of Obama's early political career until he took her old Illinois State Senate seat in 1996. It was Alice Palmer who introduced Barack Obama to the meeting in the home of Bill Ayers and Bernardine Dohrn. Lou Pardo Also a member of Democratic Socialists of America. Pardo worked with Obama on voter registration in 1992. In the mid 1990s Pardo was active, with Obama in the Chicago New Party. 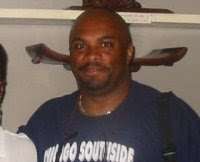 Dan Swinney A Chicago labor unionist and endorser of the Progressives for Obama website. Kevin Tyson A former member of the Communist Party. Kevin Tyson has been a long time activist and co-parishioner with Obama in Rev. Jeremiah Wright's Trinity United Church of Christ. Mildred Williamson A Chicago health professional, former Communist Party member and Committees of Correspondence leader. An endorser of the Progressives for Obama website. Is it significant that all these people, several of them previously unconnected, all supported Barack Obama's career? Were they working, at least some of the time, in concert, to promote their mutual friend? Or are the Committees of Correspondence connections merely coincidental? 1. People on the left in Chicago know each other, for the most part, because we're rather small. 2. We're against the war in Iraq, along with 800,000 other Chicagoans, who vote 'Out Now' in a 2006 ballot. 3. We voted for Obama as a liberal reformer over McCain. Any journalist, politician or politically active student could have told you this off the top of his or her head. It's rather Ho Hum. But these days we're in opposition to Obama on the wars, the bank bailouts and any number of other points--all of which puts our 'influence' in its proper perspective. That was quick Carl-nice to hear from you, after so long. while you're there can you confirm Bill and Bernardine and the Klonsky's membership or otherwise in CoC? One thing Carl forgot to mention, and tell me if I'm wrong. All leftist are against the war in Iraq that's a given, but I have a hunch you all for the war against American exceptionalism and "fundementally transforming" the United States into a Socialist nation. You're doing the job the American lapdog commie media won't. "Socialism" has been tried MANY many time - starting with the first pilgrims who arrived in America. Since you hate guns and war, we'll take our firearms, the cops, the NRA and the military. You can keep Oprah, Michael Moore, and Rosie O'Donnell. We'll keep the capitalism, greedy corporations, pharmaceutical companies, Wal-Mart, and Wall Street. You can have your beloved homeless, homeboys, hippies, and illegal aliens. We'll keep the hot Alaskan hockey moms, greedy CEO's, and rednecks. We'll keep the Bibles and give you NBC and Hollywood. You can make nice with Iran, Palestine and France and we'll retain the right to invade and hammer places that threaten us. You can have the peaceniks and war protestors. When our allies or way of life are under assault, we'll provide them job security. We'll keep our Judeo-Christian Values. You are welcome to Islam, Scientology, Humanism, and Shirley McClain. You can have the U.N. But we will no longer be paying the bill. We'll keep the SUV's, pickup trucks and oversized luxury cars. You can take every Subaru station wagon you can find. You can give everyone healthcare, if you can find any practicing doctors who will follow to your turf. We'll continue to believe healthcare is a luxury and not a right. Since it often so offends you we'll keep our History, our Name and our Flag. In the spirit of friendly parting, I'll bet you on who will need whose help in 15 years.